Huge Savings Item! 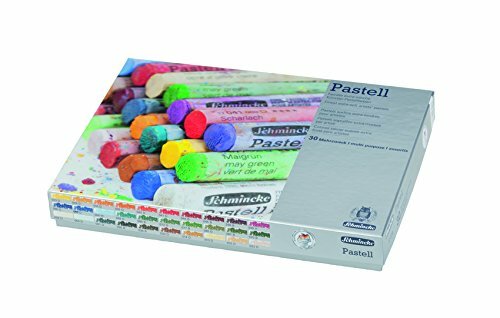 Save 13% on the Schmincke Extra-Soft Pastel Multi-Purpose Set, Set of 30 Colors (77230097) by Schmincke at Stickman's Blog. MPN: 77230097. Hurry! Limited time offer. Offer valid only while supplies last. The Schmincke Extra-Soft Pastel Multi-Purpose Set features the purest medium of handmade, fine ground artists’ pigments in high concentration. The Schmincke Extra-Soft Pastel Multi-Purpose Set features the purest medium of handmade, fine ground artists’ pigments in high concentration. These pastels have the minimum share of binders and the highest light fastness. The slow and precise manufacturing process guarantees consistent quality, smoothness and color. 30 colors included in set. Made in Germany.